Ahead of next week’s budget, it is rumoured that the Chancellor will make it easier to convert shops into homes. How exactly he will do this is unknown, but it sounds like he will expand Permitted Development Rights (PDR) to allow retail-to-residential conversions to by-pass the planning system, similar to existing policy allowing office-to-housing conversions. The hope would be that this would address the issue of boarded-up high streets, boost inadequate house-building figures, and divert attention away from calls from retailers to reform business rates. The Chancellor would be right to conclude that some high streets have too many shops. Our recent research shows that the UK’s weakest city centres are dominated by retail, with stores accounting for more than 40 per cent of commercial floorspace. And they are failing to stay open. In city centres like Newport, Sheffield and Blackpool at least one in five shops is empty. Developers won’t be interested in city centres with empty shops. 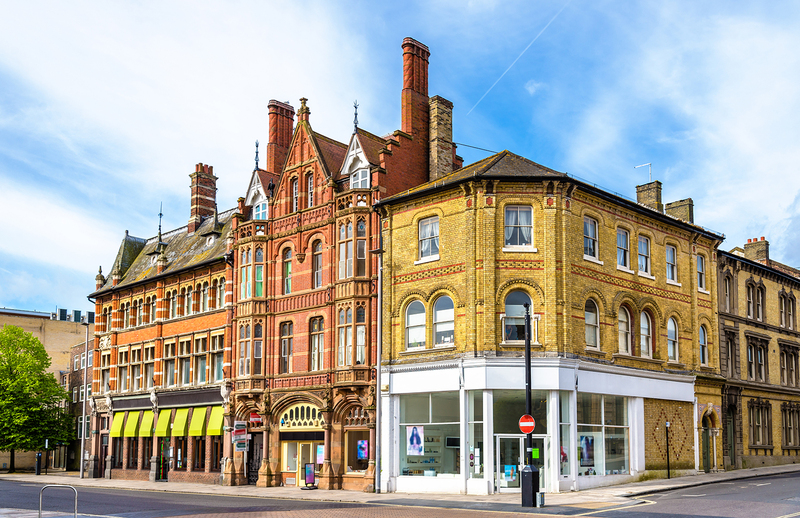 High streets struggling with vacancies are rarely the most desirable places to live and the low house prices in those areas mean there is little incentive for the private sector to convert shops into housing. Instead, PDR could adversely affect thriving city centres. The policy will be most popular where residential values exceed retail. That will be in the most successful cities where a lack of housing has led to sky-high prices. In these places there are fewer retail vacancies and the policy could lead to occupied shops being lost to housing. PDR has been designed for a city centre with both an excess of empty shops and a surplus of residential demand, but in reality, a place like this does not exist. PDR from office to residential had a similar unintended effect, with high take-up in booming city centres endangering the prevalence of quality, occupied business space. A building-by-building approach ignores a city’s wider strategy. PDR puts the property owner in control of the building’s future use, removing the input of local planners who would otherwise align conversions with the city centre plan. This makes it difficult to achieve a balance of property that complements the city’s economic development aims. There is a role for PDR in making the conversion of redundant buildings in suburbs easier so that they make a contribution to the economy once more. The challenge in city centres though is that a piecemeal approach to development in the commercial heart of the city may end up squeezing commercial space available, limiting the growing role that successful city centres have increasingly been playing — not just in their local economy but in the national economy too. So instead of extending PDR, the Chancellor should be going the opposite way, by granting further exemption zones in city centres. This would help cities to take a broader view of the balance of commercial and residential space within their urban cores — something private developers will understandably have less concern over. And for those city centres that are struggling, Hammond should commit part of his £30 billion National Productivity Infrastructure Fund to make them more attractive places to do business, as set out in our recent blog. The struggles of these city centres limit the ability of cities to attract in higher-paid, higher-skilled jobs. And this is the driver of their high street woes – fewer jobs and workers mean less footfall, which translates into a limited pool of people to sell things to. If the rumours are true, then extending PDR to cover retail-to-residential conversions would fail to solve the problems of the high street. Not only would it fail to rid the weakest city centres of the eye-sore of vacant properties, it could also endanger thriving city centres by taking control out of the hands of planners. The Chancellor would be wise to stick to fiscal matters on Monday and leave city centre planning to cities themselves.